﻿ Nine Blue Residence, Pattaya | FROM $17 - SAVE ON AGODA! "Room is very tidy and location is acceptable"
Have a question for Nine Blue Residence? Nestled in the heart of South Pattaya, Nine Blue Residence is an ideal spot from which to discover Pattaya. From here, guests can make the most of all that the lively city has to offer. With its convenient location, the property offers easy access to the city's must-see destinations. At Nine Blue Residence, the excellent service and superior facilities make for an unforgettable stay. Facilities like free Wi-Fi in all rooms, 24-hour security, convenience store, daily housekeeping, taxi service are readily available for the convenience of each guest. All guest accommodations feature thoughtful amenities to ensure an unparalleled sense of comfort. Throughout the day, you can enjoy the relaxing atmosphere of the outdoor pool. 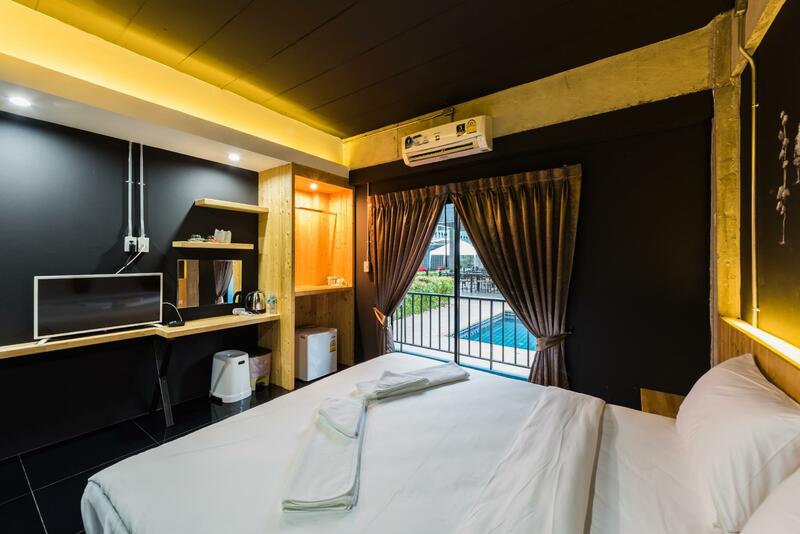 When you are looking for comfortable and convenient accommodation in Pattaya, make Nine Blue Residence your home away from home. The room is new, modern, clean and quiet. Nice swimming pool for a little work out in the morning and night time. The manager, Wit, is very polite friendly and helpful. The location is a bit far from beach if you dont have car. But it is peaceful. I would love to stay again next time. Clean, tidy, beautifully designed rooms! The staff was very friendly end extremely helpful. We needed to order transportation to the airport for the next day and they had it done in a matter of minutes for a price lower than expected. The whole hotel was a very pleasant surprise for me and my wife. 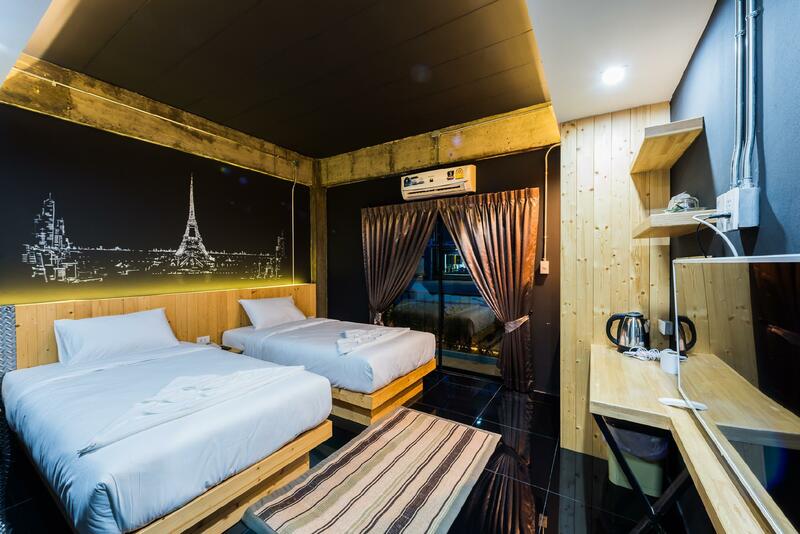 Room is very tidy and location is acceptable.With one local Thai food restaurant and one seafood restaurent nearby. Hotel location not far from town, quite,friendly but toilet not good when flush. I am Rotarian Muhammad Tajul Islam Proprietor of Nagar Autos. Staff was nice. Room were small but cozy and clean, overall our experience was very good. Nice clean hotel room & friendly staff, value for money. A little far from the Pattaya beach. If you rent a car, that’s no problem. Sehr diskret und sauber. Tipp, Zimmer mit Stadtblick obere Etage = schöner Sonnenuntergang über der Stadt, Hügel Big Buddha. Etwas weiter weg gelegen vom Trubel, ca 60-100 Bath zur WalkingStreet mit dem Taxi. Hotel biete eigene Scooter für 200 Bath am Tag. Achtung, immer Helm tragen und IMMER auch den Internationalen Führerschein mit sich führen. Wenn nicht, kostet das 400 bis 1000 Bath. kleiner aber netter Pool, Dachterrasse die nicht genutzt wird, aber benutzbar ist. ชอบที่ราคาไม่แพง แต่วันนั้นที่มาพักมีกรุ๊ปลงทำให้อดว่ายน้ำสระทั้งที่ตั้งใจเตรียมชุดเอาไว้แล้ว เสียงค่อนข้างดัง เพราะจัดกิจกรรมแบบ Outdoor มีการใช้อุปกรณ์ขยายเสียง ทำให้เสียงดังรบกวนแขกที่เข้ามาพัก วันที่มา Check in พนง.ให้กุญแจห้องมา แต่พอไปถึงหน้าห้องกลับยังทำห้องไม่เสร็จ (ไม่รู้สื่อสารกันยังไง) เวลา Standard Check in คือ บ่าย 1 แต่ตอนนั้นไปถึงก็ 4-5 โมงเย็นแล้ว ต้องไปยืนรอหน้าห้องอีกสักพักเสียความรู้สึกพอควร ไม่นานมี พนง.ญ จึงรีบเดินมาเปลี่ยนกุญแจให้และขอโทษในความไม่สะดวก สิ่งอำนวยความสะดวกครบดี น้ำแรงดี แต่แอร์ไม่เย็นเท่าที่ควร ทั้งที่เปิดไป 18 องศา..